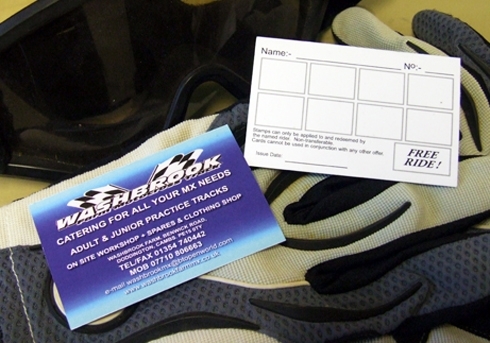 From January 2013 Washbrook Farm Motocross introduced a new Loyalty card scheme aimed at giving something back to our loyal customers. The uptake on the cards has been overwhelming with the first FREE ride being redeemed on our first Wednesday practice of the year in the Easter holidays. If you would like to get a card why not come and have a go at Washbrook on one of our three great tracks and get on the ladder to your first free ride of 2013 at Washbrook MX Tracks. Everyone is welcome at Washbrook and you support is greatly apprecite so if you would like more info on how we operate please give us a call on 01354 740442.